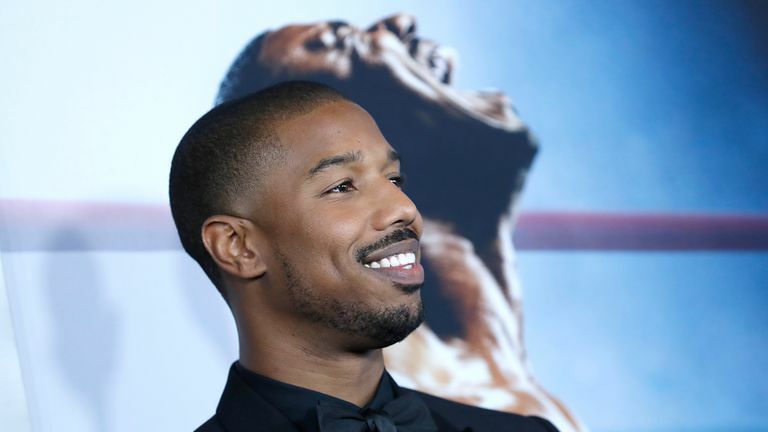 Creed II star Michael B. Jordan explains why he's backing the blue side in Sunday's Merseyside derby, live on Sky Sports. Creed II star Michael B. Jordan has shown his support for Everton ahead of the Merseyside Derby this weekend. Jordan, who starred in the original Creed movie alongside recently retired boxer Tony Bellew, has declared himself an Everton fan due to his close friendship with the former cruiserweight world champion. "I have an Everton shirt back at the crib, so I almost feel that because of my relationship with Tony I have to be an Everton fan," he told Sky Sports News. "Tony Bellew is like my brother, we are really tight and he was an incredible fighter so he will always be the number one champ in my eyes." In this Rocky spin-off, Adonis Creed is a thriving world champion, and as he starts to embark on his own journey with his partner Bianca (Tessa Thompson), she is pushing through with her music career even though her infringing hearing loss gradually gets worse. "Being able to continue the feeling and legacy that the Rocky films have left behind for me, I just want to be able to push that forward with Adonis and family is an honour," he added.